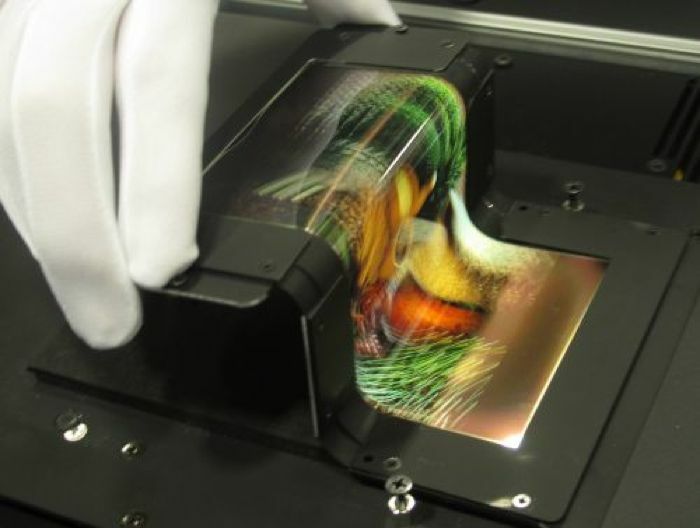 We have already seen a couple of flexible smartphones launched from both Samsung and LG, and now a number of companies have shown off foldable OLED displays. Nokia and SEL (Semiconductor Energy Laboratory) have shown off some two foldable OLED prototypes, both display measure 5.9 inches and come with a HD resolution of 1280 x 720 pixels, have a look at the video below. These new displays were announced at SID 2014, and one of the displays is designed to be like a book, and it can be folded in half. The other display is a ‘three fold’ display which can be folded in three. They certainly look interesting from the photos and the videos, as yet there are no details on which devices may use these new foldable displays first.